Thanks for the great demonstrations of junctions lately. 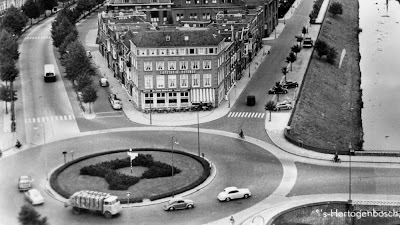 I am especially fond of roundabouts in general because they do not require the dehumanizing computer control. My favourite thing about this design is the use of the "shark's teeth", which I noticed is widely used all over the Netherlands. We have no equivalent in Canada, relying instead on signalized junctions almost entirely. Where roundabouts are found in Canada there is rarely a cycle path on the road. 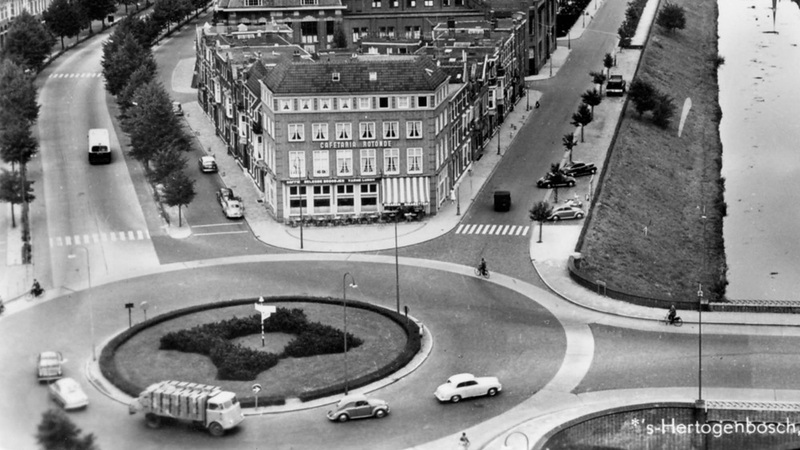 If one is present on the approach, the traffic planners usually remove at the critical moment when conflicts occur so cyclists negotiate the roundabout in the main circle. I can see how the present example, even though it breaks the usual convention of yielding to traffic in the roundabout, works because of the shark's teeth. The universal application of this device allows for regular exceptions to the rules of right-of-way. Are the cyclepath crossings raised for cars to further slow down the vehicles as they approach? "Are the cyclepath crossings raised for cars to further slow down the vehicles as they approach?" @Nick: no, they are not, but it's an interesting idea. Some cardrivers like to go as fast as possible through the roundabout, which decreases the cyclists' reaction time. Raising the cyclepath crossing would decrease car speed. Oh and eh, shark's teeth rule! You can keep your eyes on the road and still know priority. If only this much thought was applied to cyclist priorities here in the States! What Ben says explains it in a nut shell what American cyclists have to deal with. Having just come back from the Netherlands as a car driver I can say I drove with white knuckles the whole time. The sharks teeth are impractical in Canada given 1. our streets are covered with snow for a good chunk of the year and 2. Canadian cities come nowhere near the level of street maintenance I experienced in Holland...when the teeth are worn off in Canada it would be years before they were repainted im sure. @Anonymous; the "shark teeth" are only used as an extra indication, never on their own. So you will always also see a normal 'give way' traffic sign right next to them. For the times that we have snow too.